The "Sunshine State" has so much to offer visitors besides​ abundant sunshine. Nestled between the Atlantic Ocean and the Gulf of Mexico, there are some 1200 miles of coastline which offers sun worshippers many types of beach experiences. No matter where you are in Florida, you're just a short drive from a beach! Central Florida is the location of major attractions such as Disney World, SeaWorld, and Universal Orlando, as well as water parks, themed dining experiences and plentiful shopping. South Florida remains a popular destination for celebrity watchers and the Florida Keys are the perfect tropical getaway. Let's not forget Northeast Florida where you can take a glimpse into Florida's ancient history in St. Augustine or into its brilliant future at Kennedy Space Center, nor the Panhandle and its pristine white sand beaches. From deciding on an ideal destination and how to get there to where to stay and what to do, here's the information you'll need to plan an unforgettable trip -- one step at a time. What should you do first? Decide on the best time to go, or if that is already decided, checking out what's going on that month is a good way to start. Florida's climate is mild enough throughout the year, that there is a wide variety of great destinations that can be enjoyed anytime -- Disney World and other attractions as well as plenty of coastline with wonderful beaches. If the time of year for your travel is flexible, you might want to consider average weather conditions and typical tourist seasons. Also, check out Florida's Sunsational Off-Seasons for the scoop on avoiding large crowds and overbooked accommodations. With that in mind, what should you do next? Decide on a destination, of course! Planning a great vacation starts with choosing the perfect destination -- one that each member of the family can enjoy. Top 10 Florida Destinations - Everyone is familiar with Florida's top vacation destination -- Disney World. However, there are several other destinations that draw millions of visitors to the Sunshine State each year. If you're looking for a can't-miss place to go on vacation, you should consider one of these tried-and-true Florida vacation destinations. Top 10 Florida Beach Vacations - If life is a beach, then Florida is where to live it! Here you'll find Florida's finest pristine white sand beaches and those left the way nature made them along some of the most interesting coastlines in America. Top 10 Reasons to Visit Tampa Bay - The outdoor recreational opportunities alone that Tampa Bay provides is reason enough to visit the area, but I'll give you 10 more reasons for you to come to the Tampa Bay area. Day Trips - These popular destinations make perfect day trips. They're not too far from the major attractions, and often you can make the trip on just one tank of gas. Disney World - Information on everything Disney including resorts, shopping, and theme parks! Daytona Beach - The Atlantic coast of Florida boasts many top rated beaches, is home to the nation's space program, and port to many major cruise lines, but Daytona Beach still remains a popular destination for families. Florida Keys - Visitor resources and information on the Florida Keys including the islands Key Largo, Islamorada, Marathon and Key West. Florida Panhandle - This Northwest and North Central Florida Region boasts some of the top rated Gulf beaches as well as natural areas that provide for a variety of activities. Florida State Parks - See natural Florida and wildlife in its natural habitat. 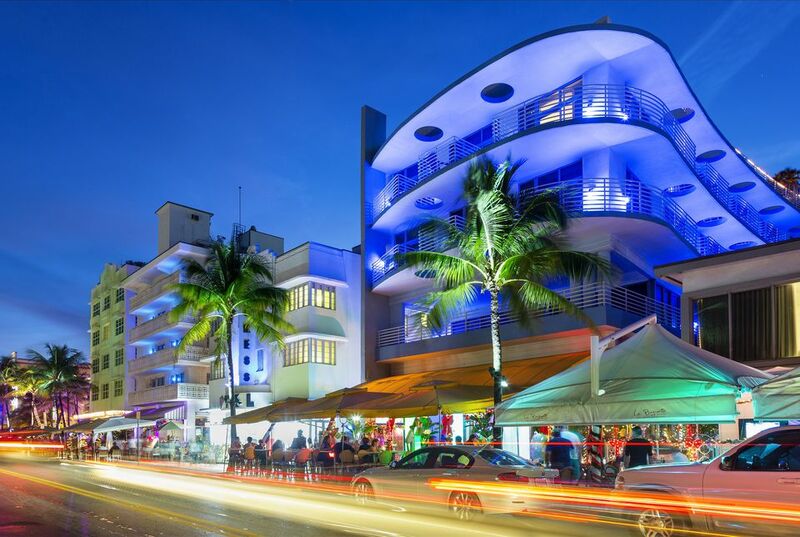 Miami - Vacation with celebs in trendy, sophisticated surroundings. Orlando/Central Florida - One of Florida's most popular destinations with major attractions, hotels and themed dining. Visit small FL towns and get big surprises on what they offer visitors. Tampa - The Gulf Coast of Florida boasts many top-ranked beaches and some of the best shelling areas in the world. Now that your destination is settled, it's time to choose your travel arrangements. Whether you fly or drive, preparing for your trip well in advance will make your trip more enjoyable. Air Travel - Don't take to the skies without consulting this guide to the major Florida airlines and airports, plus tips to make your plane ride more pleasant. Amtrak Auto Train - On Track On Line is a great site in an easy-to-read format that gives details of the trip, what to expect and train travel tips. Driving In Florida - Planning a vacation to Florida that involves driving requires more than loading the luggage and having the right map. Attention to a few details before you pack can help make sure you reach your destination safely. Maps - Maps for getting to and around Florida and major Florida cities. Weather - Resources to weather information, forecasts, and conditions, including average temperatures for popular Florida destinations. Now that you've decided how you'll get to, from, and around Florida, it's time to decide where you'll stay. Whether it's a fancy resort or a cozy inn off the beaten path... where you stay is an important consideration. Check out the list below of accommodations at some of Florida's most popular destinations, including resorts, hotels, bed and breakfasts and camping. Experienced campers already know that camping in Florida is a unique experience. The Sunshine State's mild climate allows for year-round camping and nearly unlimited outdoor activities. And, whether you consider yourself a "trees and trails" type or one that prefers "sand and surf," Florida's diverse offering of campgrounds can deliver. Additionally, the Sunshine State has plenty of great stay-and-play golf resorts. Florida has a wide variety of dining experiences -- from dinner theaters to dinner cruises and dining with astronauts or your favorite characters -- that deserve your consideration. Florida has a wide variety of dining options representing many cuisines and budgets. Dinner Cruises - These cruises combine tranquil sailing with great dining -- lunches, brunches, and dinner -- on Florida's waterways. Dancing while the sunset twinkles on the water is the perfect romantic getaway! Dinner Theaters - Your guide to Florida's suburb professional theater and fine dining experiences. Disney World Resort Dining - Disney offers an amazing array of on-property dining experiences -- including world-class restaurants, character dining and themed dinner shows. Lunch With an Astronaut - Now this is what they really call "out of this world" dining! Orlando Themed Restaurants & Dining Experiences - Atmosphere, entertainment and good food make these dining experiences fun! 10 Best Places to Eat in St. Augustine - Historic St. Augustine offers a wide array of unique restaurants showcasing many types of cuisine. Florida has plenty of attractions and activities to keep everyone in the family happy -- from toddlers to teens and young adults to seniors. Attractions A to Z - Here you will find Florida theme parks, animal parks, aquariums, zoos, museums and more. There is loads of "fun in the sun" when you visit The Sunshine State! Camping in Florida - Your destination and activities are rolled into one great vacation when you camp in Florida! Things to Do at Disney World - There's a whole "world" to discover at Disney World! Things to Do in Fort Lauderdale - Gaming, attractions, shopping and more! Things to Do in Orlando - Orlando -- home to Disney World Resort and Universal Orlando Resort -- is the location of dozens of attractions, museums, shopping venues, dinner theaters, gardens and water parks. There is so much to see and do, that it is impossible to take it all in during one vacation. Florida Gardens - Florida is well known for its beautiful foliage and these gardens are well known for great places to visit. Water Parks - Immerse yourself in these wet and wild Florida attractions that are overflowing with cool fun! Many are open year-round! 10 Most Walkable Cities - Strike out with the family or on your own and see the sights in these walkable Florida cities. Florida Carriage Tours - Narrated sightseeing tours and romantic moonlight rides that the entire family can enjoy! Florida Segway® Tours - Sightsee while you glide on a Segway®, the amazing transportation of the future. Segway tours are now available throughout Florida. Haunted Tours and Places - Walk in the steps of those who have gone before! Safari in Florida - Drive yourself wild on safari or be driven into Florida's wildest places! Most travelers don't have unlimited funds and are looking for the best deals to make their money stretch as far as possible. Here, you'll find some of the best free and discounted deals to use in Florida, plus information on purchasing theme park tickets and how to limit your spending and still have lots of fun! Top 10 Things to Do for FREE in Florida - We all like a bargain, but is it possible to get something on your vacation or getaway for free? Here we show you where and how to see top attractions and interesting places in Florida at no cost. St. Augustine on a Budget - Historical St. Augustine is both educational and a doable vacation on a tight budget. Money-Saving Travel & Vacation Budgeting Tips - Try these tips to stretch your travel dollars. 10 Cost-Cutting Vacation Tips - While travel costs continue to spiral upward it is even more important than ever to plan vacations with your budget in mind. Use these cost-cutting measures that I've learned over the years to help your vacation dollars go farther. Disney World Ticket Information - Answers to "What's a 'Park Hopper'?" and other questions about Disney World tickets, plus a complete price guide. Disney's new "Magic Your Way" tickets reward longer visits with lower ticket prices. Are Multi-Park Tickets a Good Deal? - A closer look and comparison of multi-day and multi-park admission tickets. Disney World Without the Theme Parks - Believe me when I say you will NOT be depriving your children (or yourselves) if you skip the theme parks. Staying at a Disney World Resort hotel has enough activities to keep you busy... and you can dine with the characters! Ways to Save Money on Your Disney World Vacation - The secret to Disney World vacation deals, and how they often save more than money. The Cheapest Disney World Souvenir - Here's the cheapest memento you can take home from your Disney vacation. Florida Beach Packing Tips - If you're planning a day (or more) at the beach, there are certain "must have" items that you won't want to leave home or your hotel room without. Theme Park Ticket Purchasing Tips - To help you get the most from your vacation dollars and help you avoid purchasing disasters. Safety and travel tips to help you avoid those vacation mishaps -- sunburns and more. Sun, Sand & Surf Safety - Avoid scorching sunburns, water hazards and other warm-weather pitfalls that can ruin your vacation with these easy-to-follow safety tips. Swimming Safety - Whether you plan on simply wading in the surf or riding the waves, before you jump in with both feet, read these swimming safety tips. How to Beat the Florida Heat - Common sense and fun ways to keep your cool, and avoid various stages of heat stress. How to Avoid Sharks - Sharks! Just mention that word and it may conjure up images in our mind of a scene from the movie Jaws, but just how vulnerable are you. These common sense strategies can help keep sharks from taking a bite out of your vacation. Lightning Safety - Florida is well known as the lightning capital of the United States. Lightning is a serious risk. Keep yourself safe with these tips. Safety Tips for Your Disney Vacation - Tips on keeping your family safe, happy, and healthy at Disney World. Drowning Prevention - Every year as families take summer vacations to beach locations and stay in hotels and resorts with swimming pools, the risk of drowning increases. Experts warn there is no way to entirely drown-proof your children, but there are guidelines you can follow to cut the risk of drowning for children of all ages. Spring Break Safety - Spring break can be great fun if you follow these safety spring-break-specific tips.